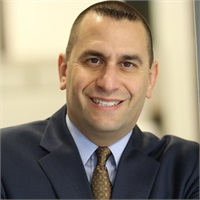 Since 1993, Greg Stoumbelis has worked tirelessly to address the priorities and goals of his corporate and individual clients. He began his practice by helping companies establish and service qualified retirement plans. He frequently works with the owners, executives and employees of those companies to design and execute strategies to meet their personal long-term financial objectives. In April of 2016, Greg, his friend and former mentor, Joe Macaione, and their friend and longtime colleague, Jerry Catalano, formed Stoumbelis, Macaione, Catalano and Associates LLC. (SMC&A) as a producer group within The Heartland Group. The purpose behind SMC&A is to leverage Greg and Joe's combined 50 plus years of financial services experience with Jerry's 46 plus years of CPA experience to provide a unique, comprehensive and value added experience to their clients that starts simply with listening. Greg Stoumbelis resides in Bolingbrook, IL with his wife, Eleni and their two sons, Evan and Nicholas. He is an active member of his Church. He is a certified 3rd Degree Blackbelt in TaeKwonDo, which led to his love for the sport of mixed martial arts (MMA). In addition to MMA, Greg enjoys watching basketball, football and hockey. ** Certificate awarded based on completion of a training program at the Wharton School, University of Pennsylvania.